The Jews of Bălţi had a dynamic cultural life. Many of them were enlightened, and knowledgeable of Jewish and Yiddish culture. When the Romanians took control of the town after WWI, a large number also adopted Romanian culture. The arrival of enlightened refugees from the nearby regions between Romanian and Russia revitalized the spiritual, cultural and artistic life of the town. The Jews of Bălţi loved Yiddish Theater, and the town was often visited by famous groups of actors, including those involved in musical theater, accompanied by orchestras. 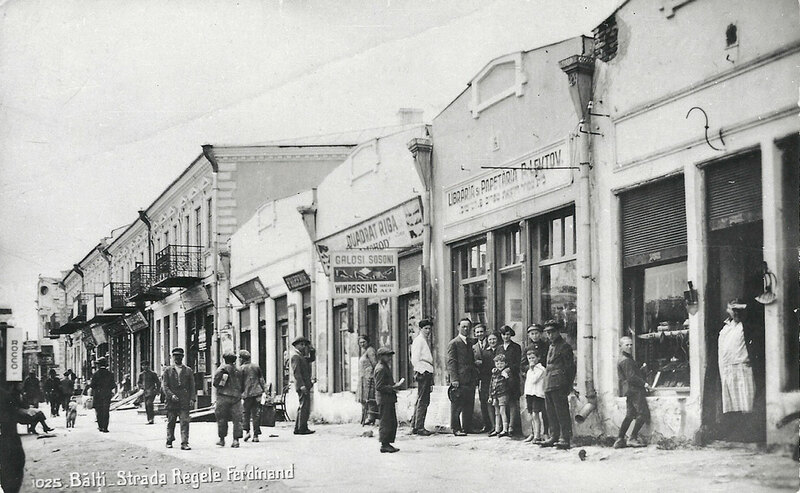 When the "Vilna Free National Jewish Theater" arrived in Bălţi, the community welcomed them with music. The stage actress Dina Koenig was the most popular actress in the 1930s in Bălţi, alongside Sidi Tal. Koenig was married to theYiddishsinger and actor Yitzhak Habis. Their daughter, Lea Koenig, later won the Israel Prize in Theater. Many amateur theater circles were very active in the town, putting on shows and holding reading and literary evenings. 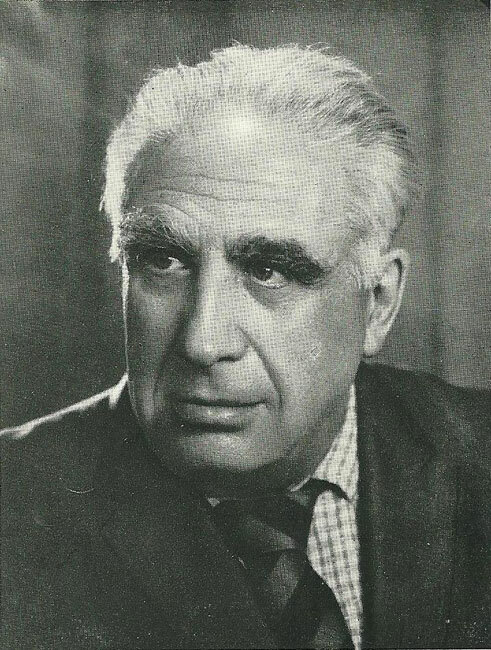 The actor Morris Brown (Mendel Bernstein) was born in Bălţi, as well as the Yiddish operatic actor Leon Gold, and the famous Yiddish singer of the 1920s, Isa Kremer. Bălţi had a number of theaters, including the "Unirea" Theater built by Feldman at the turn of the century, and managed by the theatrical agent Flom. The "Sapo" Theater showed classic and modern plays to packed audiences. 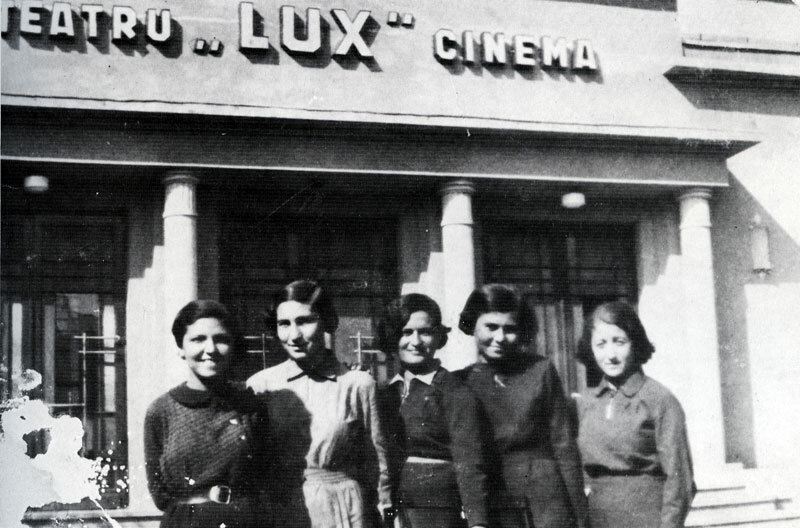 There was also the "Small" Theater, as well as three silent movie theaters, whose films were often accompanied by a trio playing on the piano, cello and violin. Bălţi was the home of the well-known Hebrew poet Jacob Fichman, who emigrated from the town to Eretz Israel, as well as of the Yiddish writers Ephraim Auerbach, Zelig Bardichever and Leib Kazver (Weinstein). Bălţi also boasted a large municipal library as well as a number of public librariesthat contained Hebrew, Yiddish, Russian and Romanian books. 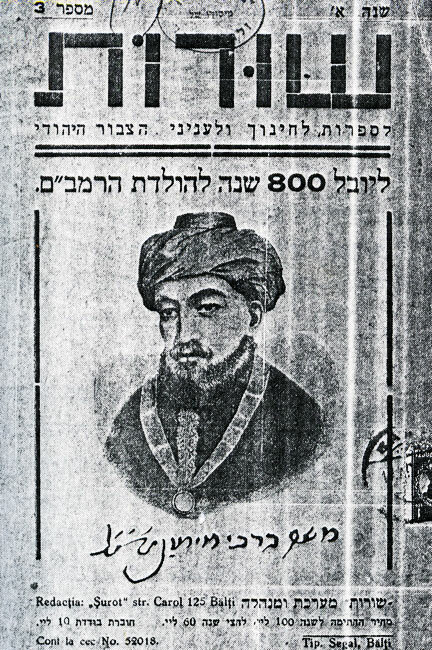 The Jewish Gymnasium (high school) had a large and updated library, run by its History teacher Meir Grosman, and supported by the teacher and writer Leib Cuperstein, who supplied books from Eretz Israel as well as from the Lev-Tov book store in Bălţi. 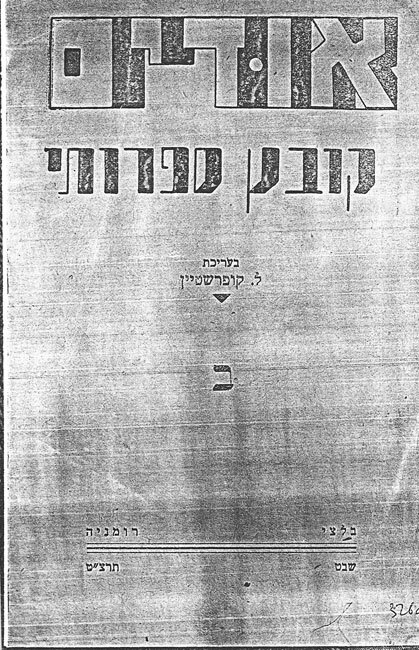 Cuperstein also edited the Hebrew literary journal Shurot (Lines), produced in Bălţi and distributed across Romania. 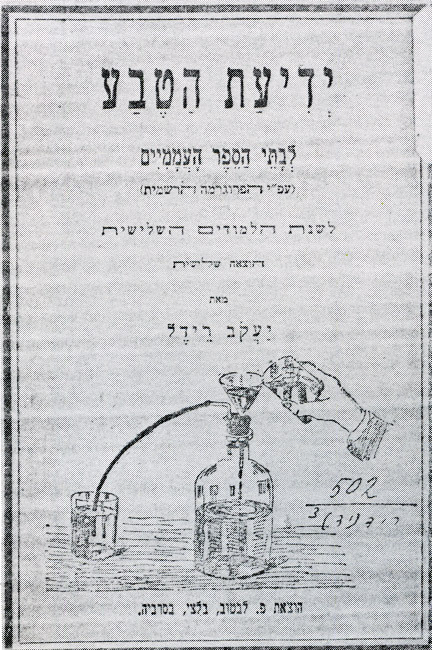 When Shurot closed down following an edict forbidding the production of Hebrew publications, Cuperstein began to publish a magazine called Odim defined as a "book," not included in the ban. Jewish and Romanian printing houses operated in Bălţi, including the modern printing houses of Finkenson, the second largest in Bessarabia, as well as the publications of Pinchas Lev-Tov, who published Hebrew study books, owned a book shop, and even printed the local paper The Bălţi Pamphlet. 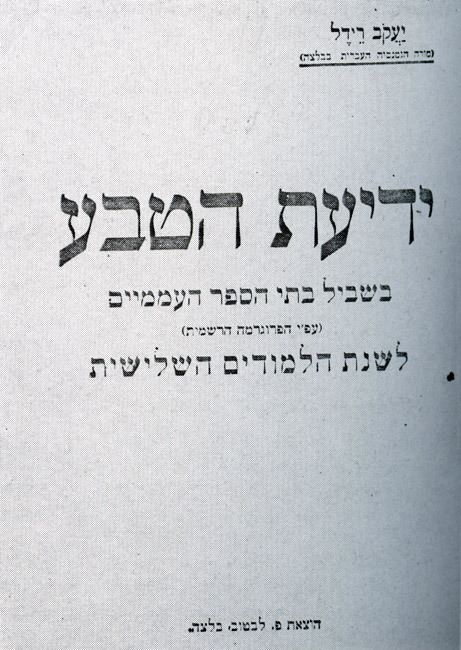 Every Jewish school in Bessarabia and Romania used the library of the Lev-Tov publishing house. 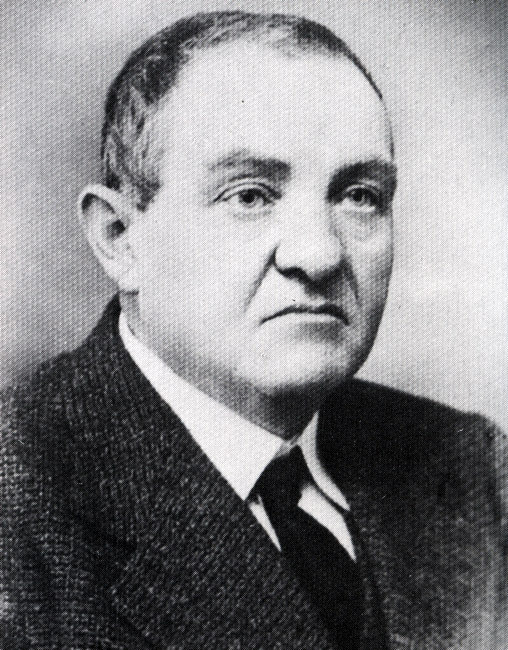 Pinchas' son Moshe was one of the first professional pianists in Bălţi. 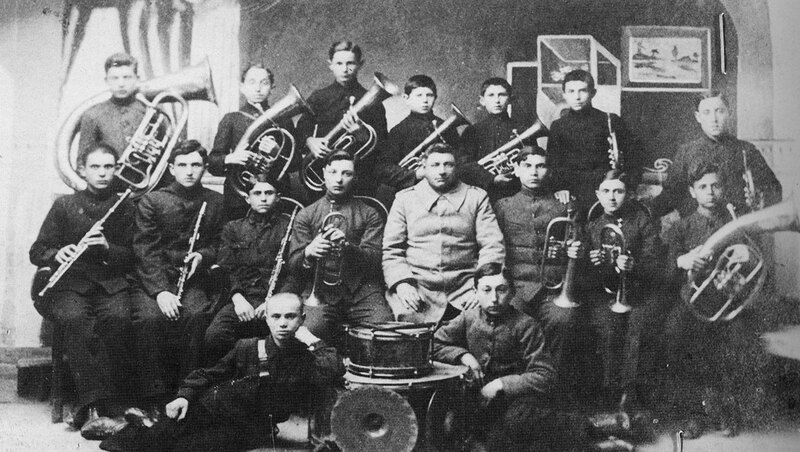 Concerts were often organized in the Jewish Gymnasium, with its permanent wind orchestra. The music-loving Bălţi public was treated to visits by internationally renowned musicians, among them pianists, violinists, cellists, wind-instrument players, soloists and opera singers. The educated Jewish families in the town sent their daughters – and sometimes their sons – to learn to play piano. The private school of the violin teacher Benjamin (Beno) Eckerling taught many children in the community, among them Yehezkiel (Oskar) Din, later the first violinist in the Kishinev Symphony, as well as Joseph Bernstein. After Bernstein was discovered to be a violin prodigy, his father sent him to study in Germany. During the summer vacation, the 15-year-old Bernstein returned to Bălţi and performed in concerts. With the establishment of the Eretz Israel Orchestra (today the Israel Philharmonic Orchestra) by Bronislaw Huberman, Bernstein found a refuge from his Nazi pursuers. He founded the "Tel Aviv Quartet," playing First Violin. He was later accepted to the New York Symphonic Orchestra. 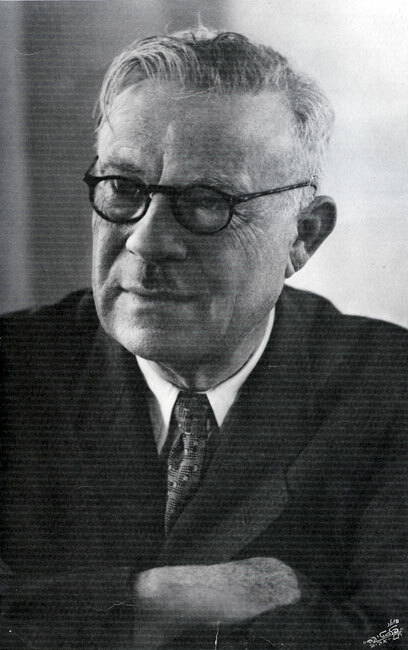 His former German-cultured teacher, Beno Eckerling – born in Vienna and settled in Bălţi – was murdered by the Romanians and Germans in 1941. Isser Schwartzman played many instruments. His family owned a music shop, as a result of which he presented a "problem" for the Marxist ideologists, and was exiled to Siberia on the eve of WWII. 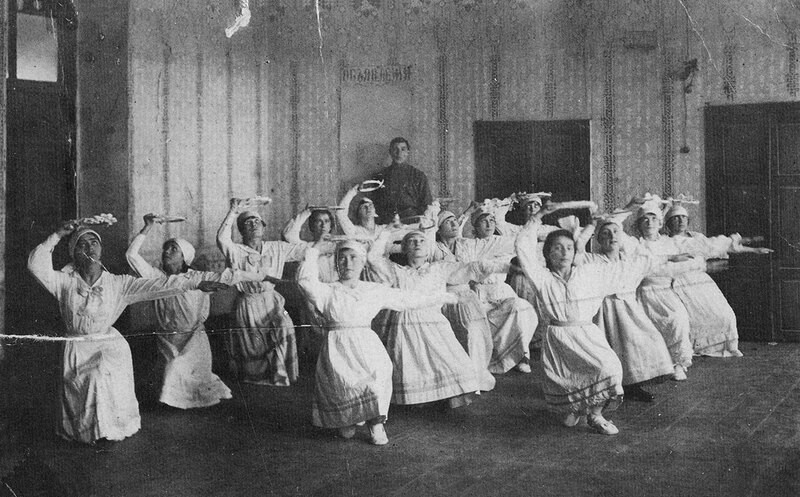 Bălţi had a number of music teachers, conductors, singers and musicians. The Cameri Trio sometimes accompanied movies screened in the town. Bălţi also had many poets, some of whom achieved great acclaim. 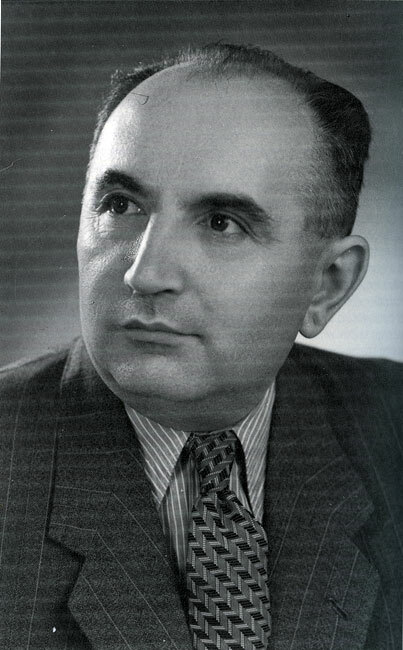 Yasha Soroker, born in Bălţi, was a talented violinist who was arrested by the Romanians for being a communist and sent for hard labor in the salt mines. Following the Russian annexation of Bessarabia in 1940, Soroker was brought to Moscow where he excelled in his violin playing, studying under the renowned violinist Oistrakh. The Jewish and Zionist sport movement began its activities in Bălţi with the establishment of the Hebrew Gymnasium in 1918. The school's sports teachers Feldman and Wartzman held sports activities, including gymnastics and work on the parallel bars. Most of the meetings were on Sabbath days and Jewish holidays. The movement's motto was "A Healthy Soul in a Healthy Body." 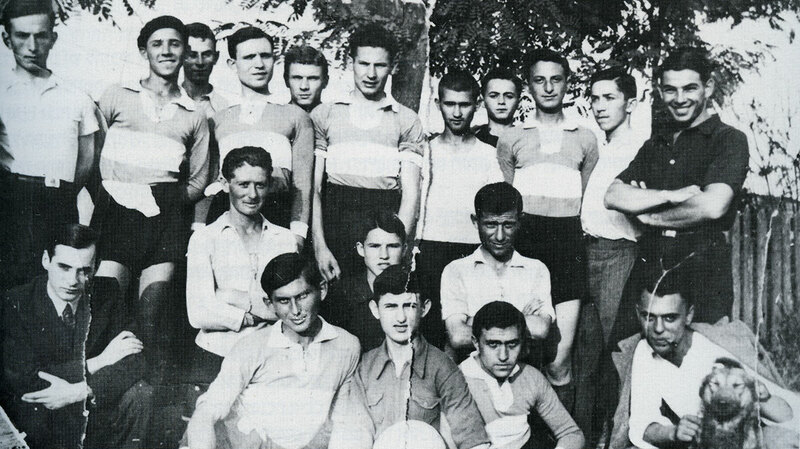 In 1921, with the appearance of Zionist youth movements in Bălţi, a Maccabi youth movement was established in the town. At first, the organization held most of its discussions in Russian, but the overriding tone was Zionist. 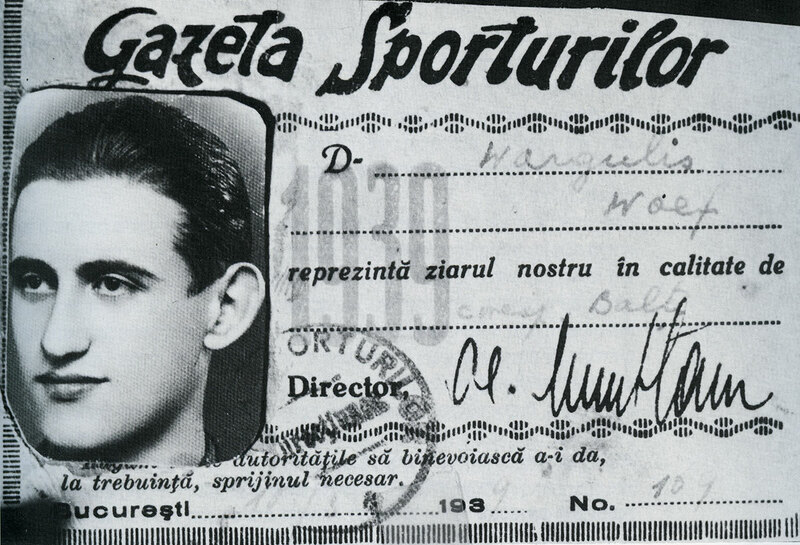 Members of the Bălţi Maccabi movement were among the original halutzim (pioneers), and as early as 1926 went on hachshara training programs across Romania and beyond. 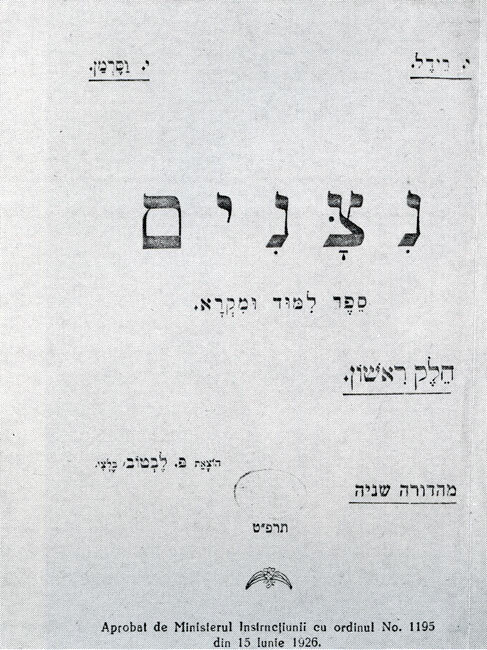 The Maccabi youth movement in Bălţi gave rise to the Beitar and Gordonia movements, as well as to many members of Hashomer Hatzair. Most of the Maccabi members that came to Eretz Israel for the Maccabia Games stayed. Bălţi Maccabi halutzim were among the founders of the Israeli cities of Even Yehuda, Pardes Chana and Netanya. A chess club was active in Bălţi for many years. The Hebrew Gymnasium was renowned for being the chess center of Bălţi, hosting tournaments for many of the town's players. The competitions were held under the supervision of a team of judges, at the home of one of the pupils.